An end-of-the-world disaster thriller, Deep Impact builds to impressive heights of emotion in the story of a massive comet hurtling towards Earth. The film benefits from a generally somber attitude, but also tries to cram in too many stories at once. Teen-aged amateur sky watcher Leo Biederman (Elijah Wood) and astronomer Dr. Marcus Wolf (Charles Martin Smith) discover a new comet bigger than the Himalayan mountains on a collision course with Earth. Wolf dies in a car crash before he can publicize the discovery, and government officials keep the impending Extinction Level Event secret for months to avoid panic while a response is formulated. But when news reporter Jenny Lerner (Téa Leoni) stumbles onto the story, US President Tom Beck (Morgan Freeman) reveals the Biederman-Wolf comet's existence to the public and announces that the US and Russia have jointly constructed the Messiah spacecraft, designed to land on the comet and knock it off course by detonating nuclear warheads 100 metres below the surface. The Messiah crew includes Captain Spurgeon "Fish" Tanner (Robert Duvall) and pilot Andrea "Andy" Baker (Mary McCormack). Despite their best efforts, the explosion only manages to split the comet into two pieces, the smaller labelled Biederman and the larger Wolf, and both remain on a collision course with Earth. The President announces a plan to safeguard one million Americans in purpose-built survival caves in Missouri. Before the day of impact, Jenny has issues to resolve with her divorced mother Robin (Vanessa Redgrave) and father Jason (Maximilian Schell), while Leo tries to save his girlfriend Sarah Hotchner (Leelee Sobieski) and her family. 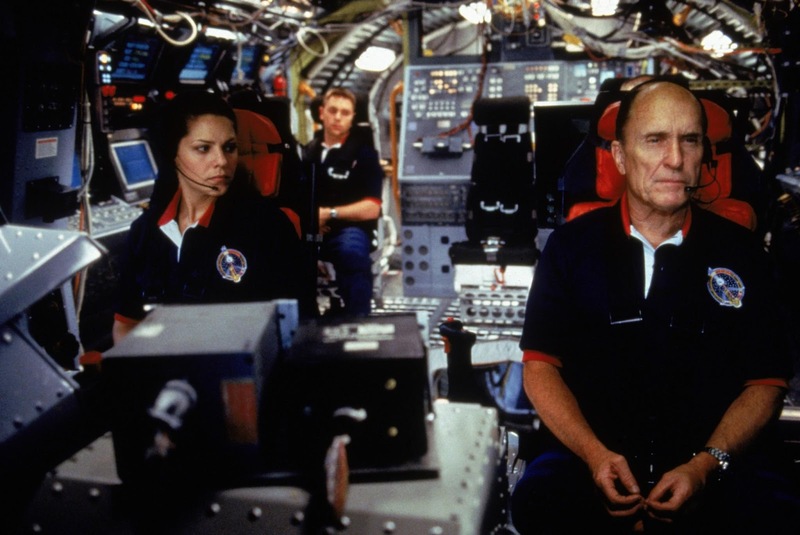 Released within months of the similar Armageddon, Deep Impact is the more cerebral, less jingoistic of the two. This turns out to be both good and bad. 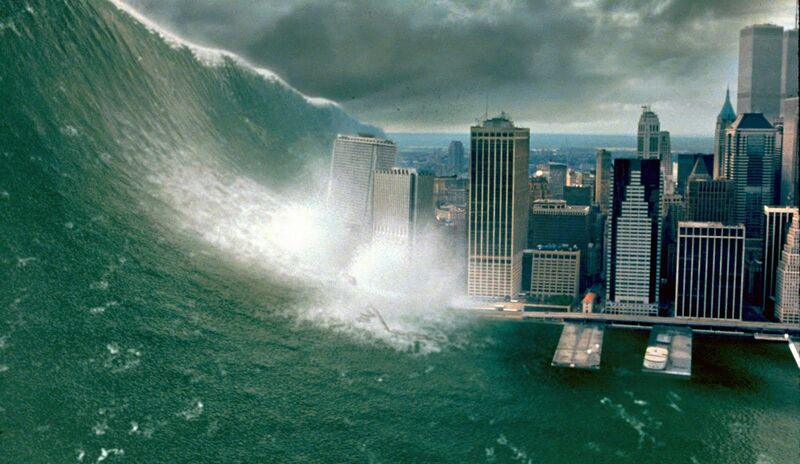 Directed by Mimi Leder, Deep Impact tackles the end-of-the-world premise with a high degree of proficiency and from multiple angles, but fails to fully engage in any of them. The void left in the absence of simplistic heroes is filled with a rather humdrum collection of people anticipating the end, but not in any position to do anything about it. The President addresses the public in a series of this-is-going-to-be-bad-but-we-have-a-plan speeches, Morgan Freeman at his tenderly assertive best, but with each address getting progressively less comforting until he all but says "OK, now panic". A bit better is the story of news reporter Jenny Lerner, the earth's impending annihilation bringing into sharp relief the dynamics between her and her parents. Jenny's domestic troubles are typical, and her story provides the necessary perspective on what constitutes a real crisis and whether it's ever worth nursing a grudge against loved ones. 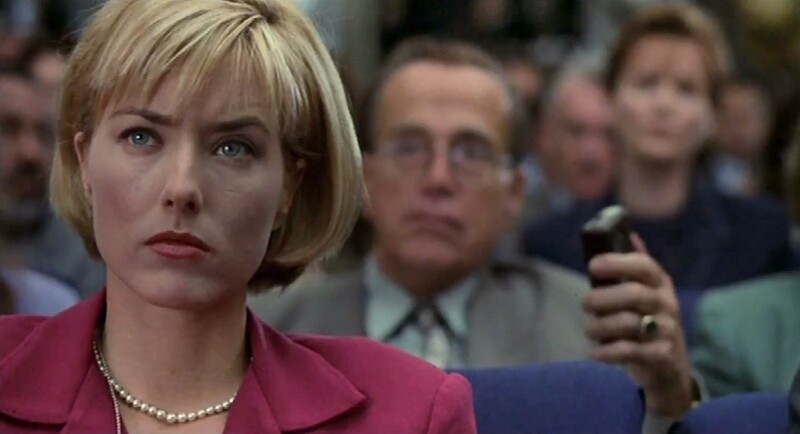 Téa Leoni is asked to carry most of the earth-based portions of the film and does well, her deer-in-the-headlights demeanour upon being thrust into the anchor's chair ringing particularly true in the be-careful-what-you-wish-for tradition. The puppy love sub-plot between comet discoverer Leo and girlfriend Sarah is inserted to attract the younger demographic, and while Elijah Wood and Leelee Sobieski are appealing, they get little to do except run around and change their mind a lot. Up in space, the film does gradually and almost reluctantly work its way to finding some heroes. The initial interaction between Duvall's Fish and the much younger rest of the Messiah crew is awkwardly and implausibly handled, but then Fish is allowed to hit his stride, the wise head showing the cocky youngsters how its done, and he emerges as one of the more memorable characters to confront the crisis. As the end nears and the excellent special effects of the eastern seaboard getting destroyed ramp-up, Leder succeeds in scaling some genuinely intense emotional peaks, helped by James Horner's score. Jenny's journey to forgiveness finds a quite terrific ending on a secluded beach, while Leo and Sarah deal with a reunion, a separation and a new responsibility all at once. Meanwhile up in space the Messiah crew stumble onto an unlikely course of action, triggering a series of transmissions back to earth that fill the control room with tears. 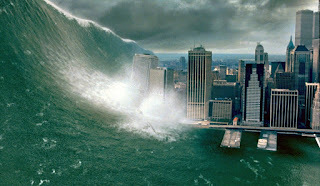 With the comet impact about to unleash the mother of all tsunamis, things do get moist all over.